Delirium is the most common organic mental disorder; a sudden and serious perceptual disturbance resulting in a confused state of thinking and reduced awareness about the environment, due to rapid changes in the brain function. It also declines the cognitive functions and may continue from few hours to few days. It can occur as a result of illness, injury, surgery, medications or if a person is addicted to recreational drugs such as alcohol and suddenly discontinues (withdrawal symptoms). The highly suitable and appropriate substitute for delirium used in the past are acute confusional states, acute brain syndrome, acute organic reaction, toxic psychosis, and metabolic (and other acute) encephalopathies. People with delirium, their consciousness gets clouded, having a decreased awareness of the surroundings and a decreased ability to respond to any stimuli; i.e. a person will be confused about where he is or what time of the day it is and unable to remember small details such as date and time, or what they ate for breakfast (complete disorientation). Gradually they develop disorientation in identifying a person. People with delirium may have an array of neuropsychiatric symptoms, such as disturbance in consciousness and attention deficit. People with delirium may have sleep disturbance, i.e. their sleep- wake cycle gets disturbed. They get insomnia and drowsiness in the day time. A person with delirium has changes in feelings and perception; psychotic disorders such as seeing random images of people and things ((hallucinations) and misperception of a stimulus present (illusions). Other symptoms include; problems in recalling, disorganized thinking, emotional and personality disturbances due to which they get irritated, angry, agitated, and depressed. Along with the recent and remote memories, they also tend to forget the registration and retention of new memories. They also have decreased attention span and high distractibility. People with delirium, their worsening of symptoms are seen in evening and night called as sun downing (diurnal variation) – ‘n’ number of fluctuations occur during each day. They also have disturbances in their speech (slurred speech- dysarthria) and thoughts. There’s something called as “fleeting delusion” which occurs for a very short period of time. The course of delirium is acute onset. It is a temporary confusion, not lasting more than few days or weeks. If it gradually declines every function, it might lead to dementia (previous blog). 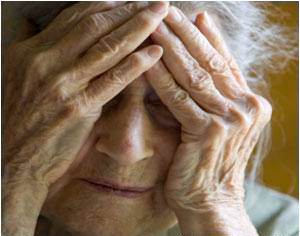 Delirium is more common among older people but may also occur at any age. The study says that it occurs to five to fifteen percent of all medical and surgical patients at some point in their lives. Post operation, the rate of affecting with delirium is higher. The causes are virtually endless. Any damage/ disturbance to the metabolism of the brain are a sufficient cause for a person to develop delirium. Delirium occurs when the normal cell signaling in the brain become impaired. This impairment is most likely caused by a combination of factors (such as biological condition, drug abuse or withdrawal, metabolic imbalances, sleep deprivation and medication toxicity) that make the brain weak and trigger a malfunction in brain activity. The other predisposing factors (susceptibility/ liability) could be extremes of age (very old or very young, previous history of delirium, severe psychological symptoms (such as fear), treatment with psychotropic medicines (Any medication capable of affecting the mind, emotions, and behavior). The presence of such factors lowers the threshold of the development of delirium. Delirium often is misjudged and overlooked in medical/ surgical settings. Screening the delirium is more significant as leaving it untreated or delay in treatment may cause permanent damages to the brain. Laboratory tests are not necessarily needed, but still few other tests may help in knowing the aetiology. According to ICD- 10, from the above said characteristic symptoms, if minimum of 5 symptoms are present, one can confidently diagnose a person as suffering from “Delirium”. The total duration of delirium should be much less than 6 months. An abnormal EEG (electro-encephalogram), not always but sometimes would help us reach a diagnosis of delirium. In few cases where diagnosing a person with delirium is not obvious, one can go for tests like blood counts, urine analysis, liver and renal function tests, drug screening, CT and MRI scans, thyroid tests. Sometimes due to thiamine deficiency it might occur; testing the levels should help. Anti psychotics may help them if they have agitated mood, throws anger, has hallucinations or delusions. The patient should be hospitalized which is a must and continuous monitoring can be done until recovery, usually within a week’s time. Supportive medical and nursing care to be done. To regulate their sleep wake cycle, make them aware of day time and darkness; having a constant check on the circadian rhythms of the client is much necessary to correct their disorientation.